Happy in your role as wife of a CEO? Are you happy in your role as wife of a CEO? Being the wife of a CEO sounds so beautiful for the outside world, but do you also feel that positive about it? Do you ever doubt about your life and what’s next? Would you like to regain the good feeling about yourself but you don’t know how to achieve it? If you are someone who daily has to face a multitude of challenges and you are also still lived by the busy schedule of your CEO-spouse, then it can be quite difficult to stick to yourself. Especially as partner of a top executive, it is important to be aware of your self-esteem as foundation. Without that, depression and loss of the self are lurking. How would it be if you can feel more relaxed and satisfied with your life and at the same time you are the wife of a CEO – which is a role that can result in much fulfilment. The key for this lies in the proper accents on the roles to be fulfilled with your self-awareness as a centre..
Perhaps until now you felt it until now as a dilemma on one hand, to claim time for yourself, be yourself, to fulfil your dreams and on the other hand constantly being supportive to your husband as the perfect CHO (Chief Home Operations) at the home front. You have already tried everything to improve this but you relapse every time in the above described condition. Fortunately, this dilemma can be resolved! What you need for growing from your current position to a better feeling about yourself and your life, is a renewed knowledge with your personal essence. By research of your origin, you can recover the promise which has always been inside you. Then you can take steps which are making you more aware. These eventually lead to a fulfilment of your life that really accommodate you and therefore has positive impact on the relationship with your husband and children. Would you like to change issues or difficult emotions in your life structurally? I have developed two programs especially for you, ‘My first quest’ as introduction and ‘Rise your power’ for more deepening inside yourself. A number of methods by which you can (re) discover your essence. You uncover the promise that is hidden deep inside you. While working in this program, you will notice that there are new answers arising on questions like: “Why did I make that choice in the past?” or “How can I change my attitude in future situations in my favour?”. Free 30 minutes personal coaching with the purchase of ‘My first Quest’! Yes, I want this! I sign up! You take the abovementioned seven steps by means of practical exercises, self-reflections and instructional videos. This will lead you to rediscovering yourself. In the premium online training program ‘Rise your power’ you will get deeper in the insights from the training program ‘My first quest’. ‘Rise your power’ has been set up as a stand-alone training and can be followed independent of ‘My first quest’. Included are two sessions of 30 minutes personal coaching by Skype or phone. 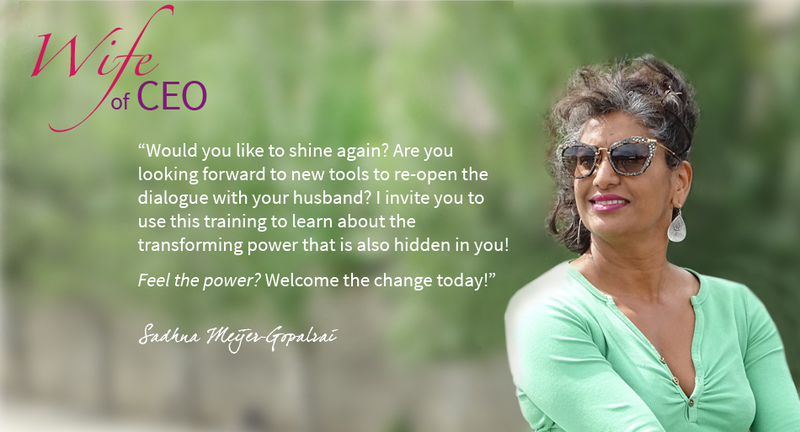 Learn about the transforming power that is also hidden in you and find new tools to (re-)open the dialogue with your husband. Discover the essence of yourself and let the promise which has always been inside you become a reality now! Do you feel the power in yourself but it doesn’t emerge enough at times when you want it? Do you sometimes feel that you are standing in the shade of your CEO and would you like to get more in the sun frequently? Is there more in you than there comes out so far? Sign up then today for the premium online training program ‘Rise your power’! Feel the power? Welcome the change today! You get for an unlimited period of time access to a number of instructional videos, practice exercises and background information. So you can follow the lessons at your own pace. If you keep an interval of a week between each lesson you can process the insights easily. The training consists of a mix of ‘mind’ and ‘hands-on’ exercises which, with every step, make new subconscious aspects of yourself clear. A touch of Indian philosophy in this Western-oriented training: pronouncing mantras for affirmations, empowering your own self. Exercises based on motion expression in order to experience physical changes. Self-observations using video, drawing and visualization exercises. Two personal Skype sessions of 30 minutes for support, so that you can internalize the insights through the lessons and there comes more space for a lasting change in your life. Result: this training increases your self-awareness and self-reliance. That affects also your quality of life. 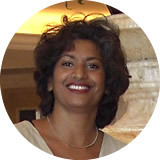 Next to my job as business counsellor and coach I am especially the wife of a CEO and mother of our child. I myself have experience with seeking a sustainable position that gives life a meaning in the position as a CEO wife. I’m the one who provides a safe home base but I am also the companion of my husband during business trips abroad. Consequently, I am also his first line ‘second opinion’ at business decisions that are often reflected in late evening hours. I want to share my extensive knowledge about being the wife of a CEO with other ‘colleagues’ who still are looking for a balance in their lives. Clients often tell me that my approach of training and support makes the difference for women like them … and for women like you! I know that there are numerous women in my position as wife of a CEO who are not happy with this role in marriage – or don’t come out well and are heading for problems. From that awareness I have developed the concept ‘Wife of CEO’ in which the self-reliance of this group of women is supported through online training and personal coaching. The training takes place completely anonymously in your own time and pace; one lesson per week is the maximum investment that you need to do. You ask for help only if you truly are up to; because of this, you take matters into your own hands. In the training program ‘Rise your power’ each lesson is divided into several small modules. At the start of a new lesson you will receive all the materials including an instruction film, worksheets and tasks for further intensification. On those moments I am as a coach at your disposal to help where you run risk to get locked up. This characteristic makes that this training goes far beyond the concept of ‘self-study’. It is my conviction that ‘life changing attitudes’ cannot be obtained by your own. I would like to get acquainted with you in the world that is hidden behind the buttons below. Feel welcome! This training includes four new exercises supported by video instructions and worksheets. During seven weeks a new lesson with video, worksheet, and exercises. Two sessions of 30 minutes personal coaching: intensification of yourself with live support by Skype. In stimulating you with the decision to purchase My first Quest’ I offer you an extra bonus when you sign up prior to May 15th, 2017: a free 30 minutes personal coaching by phone or Skype when purchasing ‘My first Quest’!